Understanding an author's use of imagery impacts student engagement and helps lay a foundation for literary analysis. Help your students begin the process of analyzing the effects that imagery can have on mood, setting, and even character development through a text with this lesson. 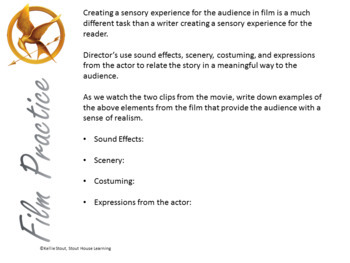 Not only will students read excerpts from the text to identify and analyze sensory details, but they will also view clips from the movie to understand how these details translate to images on the big screen. 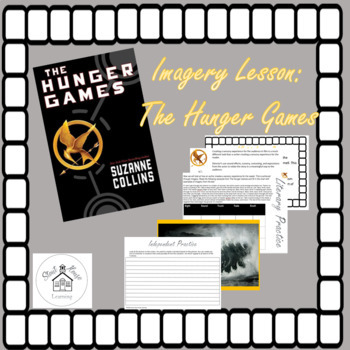 What better way to introduce this topic than with an engaging and familiar text like The Hunger Games? 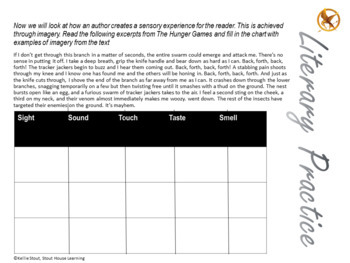 This lesson includes video links to the movie, notes/poster, sensory details handout for film, sensory details handout for the text, analysis, and a creation activity for students to use imagery in their own writing.